Here’s an update on the sequel to No Longer Alone. This year, I’m publishing The Shadows Come. I’m crowdfunding this novel as I did with Fallen. It’s an exciting way to bring a book to market, to let readers know what’s coming, and to give others the joy of being included in the project. As with Fallen, right in the opening pages of the novel, the names of people who contribute to The Shadows Come will be included. Find all the information right here. 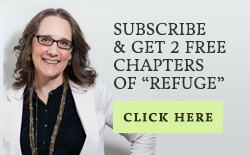 For as little as $5, you can be a part of the publication process AND get a free copy. 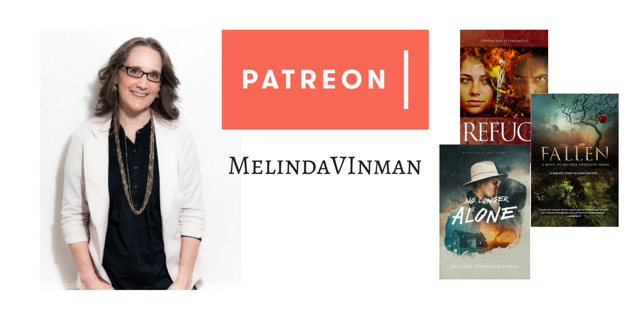 Come on over to Patreon to see what’s going on. The Shadows Come begins where No Longer Alone ended. America enters The Great War. People we know and love will go to war. Some will die, and great personal loss will occur in the lives of our beloved characters. I can’t wait for you to read this story! 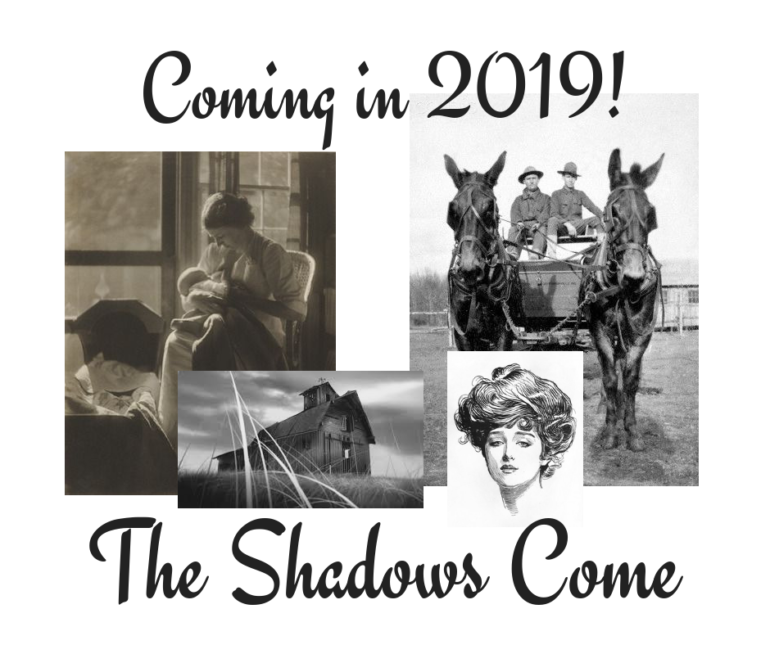 Today, I include a brief taste of The Shadows Come, a scene where Prentis and Tom discuss Tom’s preparation to leave for war. I hope you enjoy it! Tom had left his breakfast coffee on the back of the cookstove keeping warm. As soon as they stepped inside, Prentis caught the aroma of slightly singed coffee. He smiled. They grabbed cups of the brew, then sat on Tom’s back porch nursing their coffee. “It’s nice and thick,” Prentis said. Both took a long sip, savoring the invigorating fortification. “When do you want to get your horses to market?” Prentis said. Prentis’s memory flashed back to his father’s final moments as he gasped for breath, fighting and clawing to hold onto life while his heart betrayed him, failing and giving out too soon. His father had not wanted to die; it had been a terrible struggle as they all stood round him weeping while Mother clutched his hand, tears flowing down her cheeks. She begged him to stay, but he could not, no matter how tightly he tried to hold on. Finally, the fight went out of his eyes as the priest intoned the Last Rites. And then his father had slipped away. The mere memory of it felt as though it had torn a gaping hole right through his chest. Prentis had to glance down to verify that he was still whole. Surprisingly, he was. “It’s a mighty difficult lesson,” he said softly. 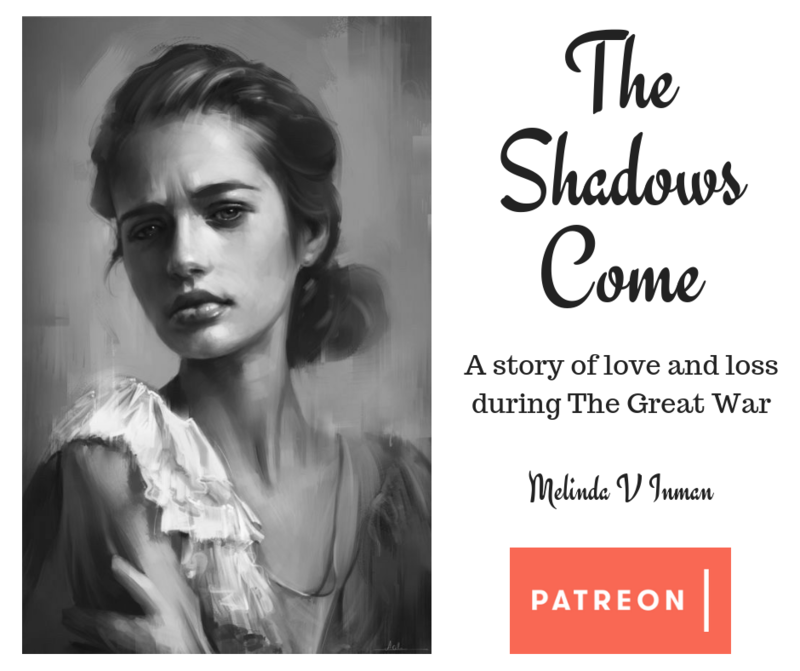 Come over to Patreon and find out more about the plot and the making of the novel. You can find my latest creation right here: CLICK FOR THE NOVEL. Congratulations Melinda. This truly kept me reading from start to finish…mostly because of my own struggles with fully understanding God’s plan and purpose in so many areas of my life. May God bless your continued journey! Brittany, thanks so much for sharing what you thought about No Longer Alone! It’s encouraging! That keeps an author going! How exiting, Melinda! I didn’t realize you could use Patreon for multiple avenues (I’ve only heard podcasts using it). That’s such a great way to raise support! Prayers that God will continue to guide you throughout this process! Thank you for commenting, Emily! I really appreciate your prayers! Is this self publishing? I never realized how pricey a process! This is indie publishing using professional, paid services. It’s an excellent way to publish because the author retains her rights and total direction over the process. And the quality professionals insure a quality product. I’m excited for you, Melinda. NLA was enjoyable. I’m looking forward to this sequel. I hope you find even greater success with this than you did with NLA. Thanks, Chip. I love that you call the first novel NLA. That’s what I call it, too. Now I’m publishing TSC. It’s nice to have you on board! 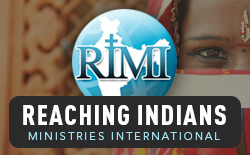 Congratulations and prayers for a successful book that speaks to many. Yvonne, thank you! Prayers are greatly appreciated, too! Congratulations! How exciting! Sending prayers your way! Thanks for your prayers, Amy! Always appreciated! Prayers are always needed! Thank you! Jessica, thank you for your prayers! Prayer is essential! All the best as you proceed with this wonderful project. Congratulations! Thanks for the encouragement, Claudio! It’s nice to meet you. Congratulations, Melinda! How exciting!!! I’m just in awe of fiction writers—never done that myself before. I love the premise and the setting of this. Can’t wait to hear when it’s released! Thanks, Michelle! Writing fiction is my passion. Thank you for the encouragement! I agree with Michelle: in awe of fiction writers! Excited for you as this next book takes off, and what an interesting business model for funding. You’re a woman of many strengths and talents. May God energize you and guide this process! Peggy, thank you for your kind and uplifting words! By the grace of God, I press toward the projects the Lord inspires me to pursue, trusting him to bring them to fruition and to encourage others through my stories.